New Directions Publishing Corporation, 9780811216579, 112pp. Reminiscent of the works of Georges Perec and Alain Robbe-Grillet, Azorno illuminates the prevailing theme throughout Inger Christensen's great body of poetry and fiction: the interplay of perception, language, and reality. As Anne Carson said, "Like Hesiod, Inger Christensen wants to give us an account of what is--of everything that is and how it is and what we are in the midst of." 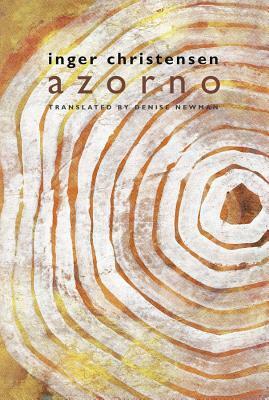 Ending with the struggle between two merged characters, Azorno simultaneously satisfies and unsettles, leaving us with a view of reality unlike any other.